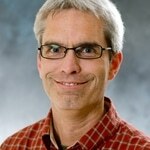 Derek Brower, an instructor in education at Northwestern College, has earned his doctorate degree. Northwestern will offer a new off-campus program, the Denver Urban Semester, beginning in the spring of 2013. Eleven professors will conduct research with funding from the Northwestern College Scholarship Grants program. 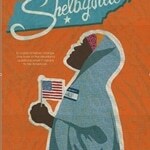 The documentary "Welcome to Shelbyville" will be shown on April 24 at 7:30 p.m. in Northwestern’s Vermeer Dining Room. Several programs are offered entirely online with nearly every academic department represented among the college's summer course offerings. Area fifth through eighth graders are invited to sign up for Raider REACH, offered by Northwestern’s education department in October. Dr. Laurie Daily, education, will present a paper at two upcoming national conferences. High school juniors and seniors are invited to Education Preview Days on Nov. 14 and 15.